What is the Santa Fe Conservation Trust? Santa Fe Conservation Trust (SFCT) partners with our community to keep northern New Mexico’s living lands and people flourishing together. They protect culturally and environmentally significant landscapes, ignite people’s passion for nature and enable the continual regeneration of our healthy place. Since 1993, SFCT has worked with landowners and community partners to permanently protect over 39,000 acres in Santa Fe, San Miguel and Rio Arriba Counties. Tickets were sold out early for this event. Call (505) 988-1234 in case there is a last minute cancellation. Visitors to the event will have an opportunity to get free gifts and register to win prizes! See Karl and Mekiah. Help us to raise money for Childrens Miracle Telethon . 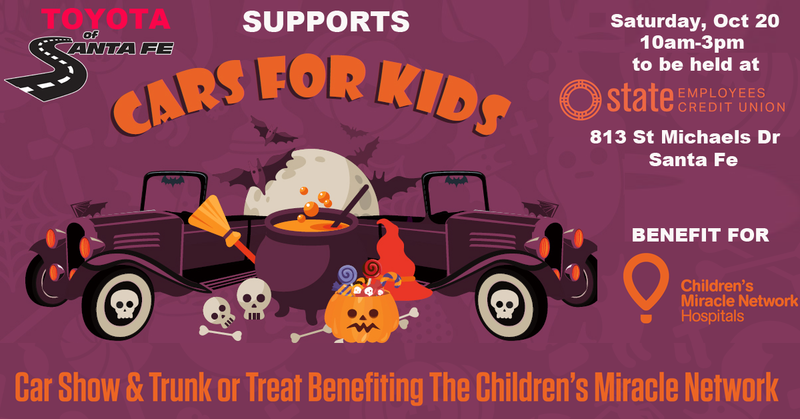 Toyota of Santa Fe is proud to support the Cars for Kids Event! Toyota of Santa Fe was at a special fundraiser Saturday October 20 from 10am -3pm to raise money for Childrens Miracle Network Hospitals. 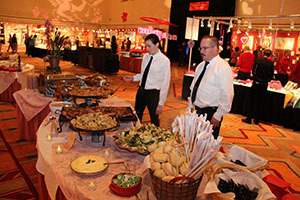 Visitors enjoyed entertainment by comedian Carlos Medina. Trunk or Treating for Kids. Kids activities including a Pumpkin Patch. Classic Car Show. Food Trucks. 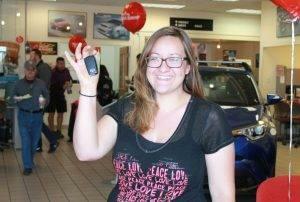 Plus Toyota of Santa Fe was there giving away free gifts and helping you to register to win valuable prizes. On display was Toyota’s newest model, Toyota® C-HR. With this new model, Next-Level Tech Comes Standard. Hidden rear door handles. Dynamic handling. Sport-tuned suspension. Sporty roof spoiler. Standard active safety. Distinctive styling. Modern interior. Available heated seats. 7-in touch screen display. 60/40 split rear seats. For more information on the Cars for Kids event please call State Employees Credit Union at 800-983-7328. Or visit their information page. Click the button to learn about Previous Events. Help us to raise money for Girls Inc. The reason for this email is to ask for a huge favor. You may or may not know about my involvement with an amazing organization called Girls Inc. of Santa Fe. Their mission is to inspire all girls to be strong, smart, and bold. They accomplish this through researched, age-specific, hands-on projects that include, but are not limited to Science, Technology, Engineering, Math, Self-protection, Health, Media and Financial Literacy. I won’t horrify you with the statistics that girls in Santa Fe face, but I urge you to visit their website at girlsincofsantafe.org. One of the many great things about Girls Inc. is that they refuse to turn any girl away due to lack of finances. 98% of the girls in the program are on some form of financial aid and 82% of funds raised goes to programming. Last year, they served 650 girls with impact and the goal is to reach 1500 girls by 2021. Every girl reached has a positive ripple effect on her community. I am demonstrating the strong, smart, and bold mission by rappelling off the roof of La Fonda Hotel (a building over 5 stories tall) on August 4th. This is where the huge favor applies. Please consider sponsoring me by donating $25, $40, or $61 ($1/foot of descent), or literally any amount your heart and wallet are comfortable donating. Your help will help me help her! 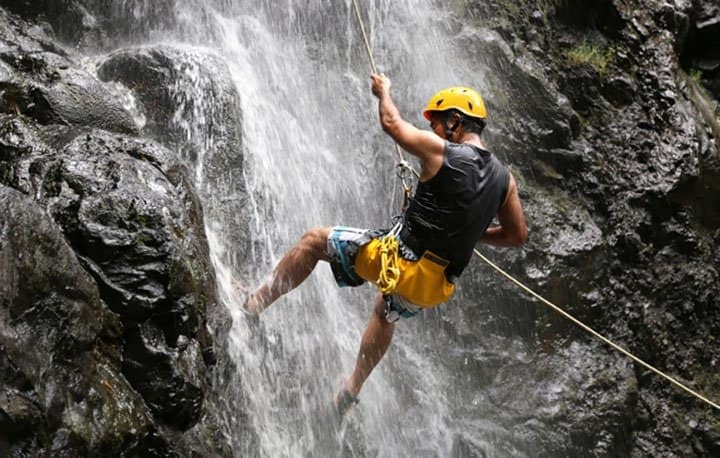 Your generosity is hugely appreciated and also tax deductible..
Join us at the Conquer Heights Empower Girls Event on August 4th to watch Buddy rappel La Fonda. Buddy is no stranger to rappelling. Here he is a few years back as he rappels. up a cliff. A few other sources about this upcoming event. Sponsor Buddy in the Girls Inc Event. 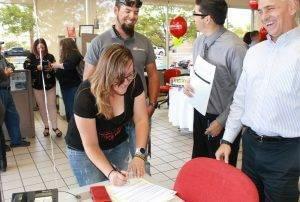 Toyota of Santa Fe was at the Santa Fe Business Expo and Job Fair. On display is the all new 2018 Prius Prime. 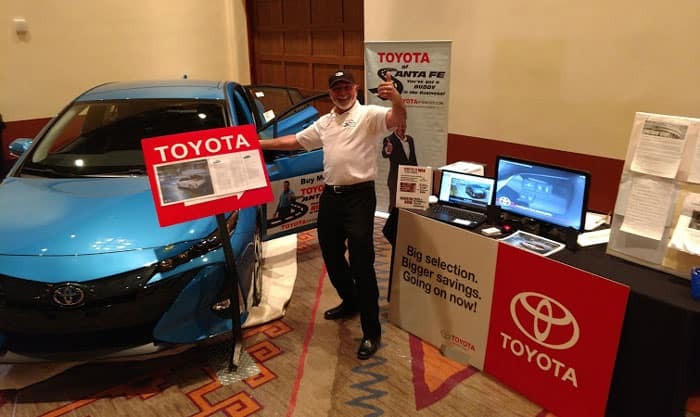 Product specialist Richard Herrera was on hand to answer your questions about the Prime and other Prius models. 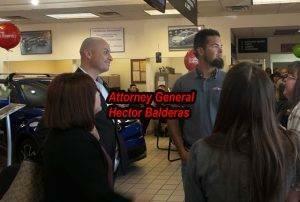 Richard was able to answer questions and advise visitors about their next truck, car or suv. He has a video about the new Tacoma, Camry and other new models. While there, visitors registered to win the Santa Claran Prize that includes a night in the Santa Claran Hotel, dinner for two at the grill and a session at the Black Mesa Golf Course. Also register to win tickets to see Keith Urban and more. 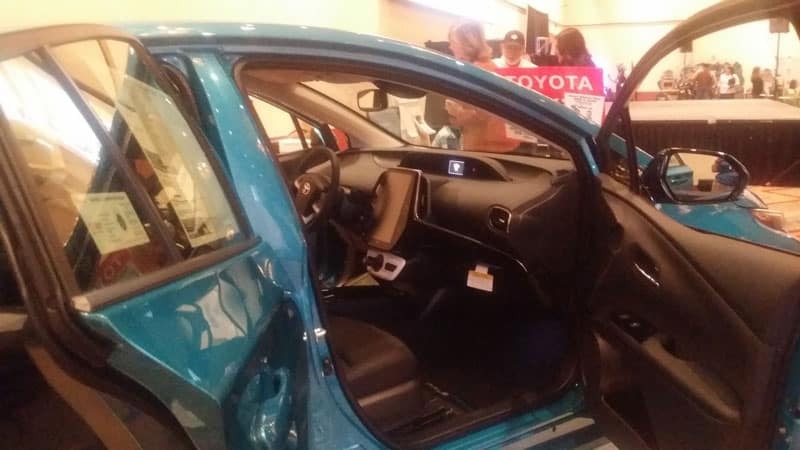 New 2018 Prius Prime on display at the Santa Fe Business Expo April 5 at the Santa Fe Convention Center. 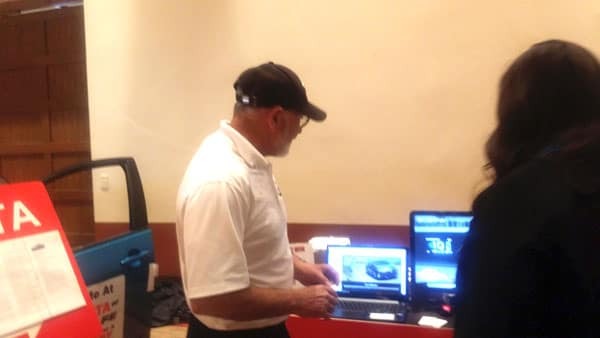 Product Specialist brought all the tools to show you what you need to know about New Toyotas. On display is the the New Prius Prime. Everyone wants to know about the new Prius Prime. 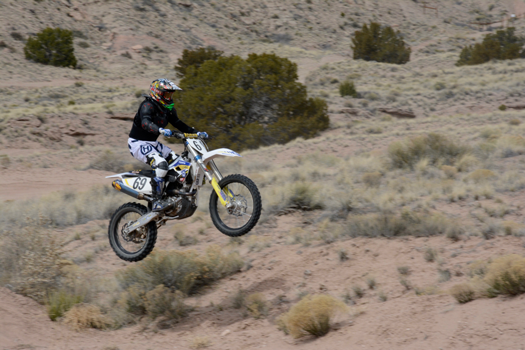 Hey Motorcross, 4 wheeling and dirt track fans, we all know we love having a place to ride here in beautiful Santa Fe. 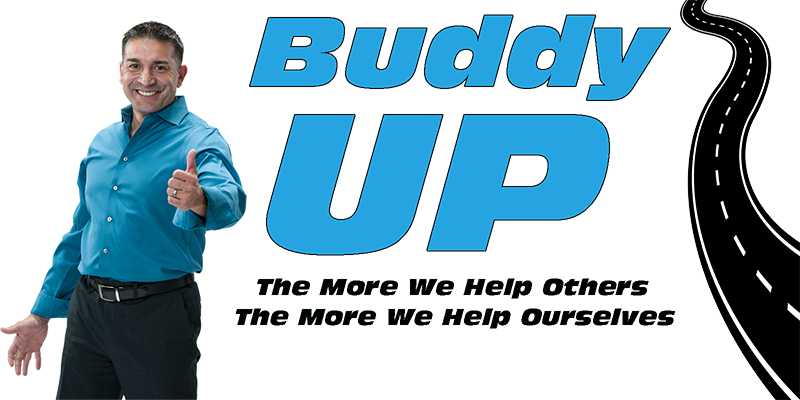 Join Free Ride Nation and Toyota of Santa Fe’s Buddy for the Buckman Motorcross BBQ Saturday March 17 from 11am to 3pm. 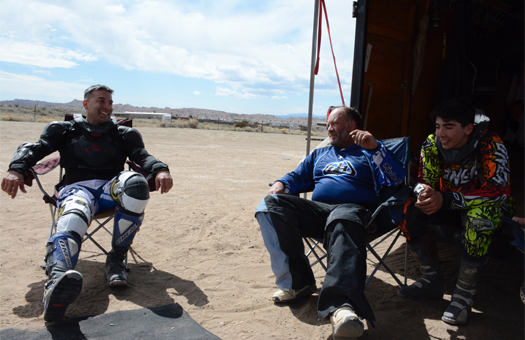 Celebrate St. Patrick’s Day with Friends, Family and of course motorcross! Everyone welcome! Help us continue to make this track an awesome place for all of us to ride. at the Buckman Motorcross track right off 599. We can’t wait to see you thereIts rare to find a city owned no fee place to ride. And that’s all due to supporters like you. The Buckman MX Dirt bike track goes back to 1968. Since then, its been rebuilt by the city and maintained by volunteers. We need your help. Whether you are a spectator or participant, your donation will help with track maintenance and upkeep of the grounds. For more information, please contact danielcorizrides@hotmail.com or call 505-827-5673. 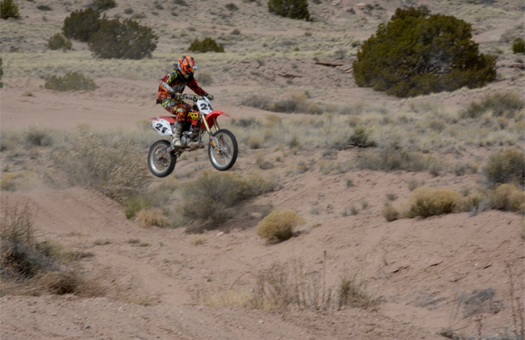 Buddy #69 takes a jump. Santi #20 keeps up with Dad. 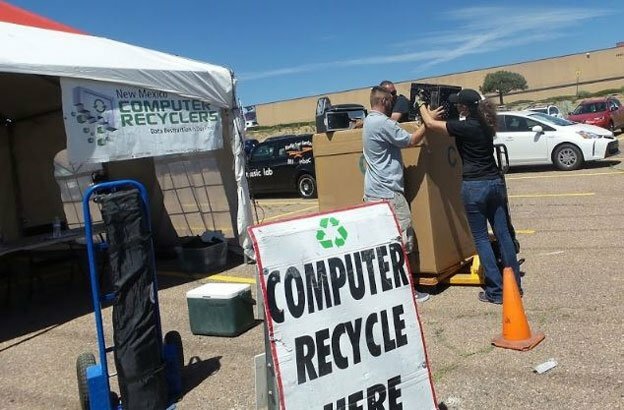 Did you miss the Recycle Event? 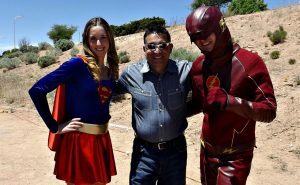 We were able to raise over $3000 for Non-Profits in the Santa Fe area last year. Stay Tuned for More Events This year. How Much can a Tundra carry? 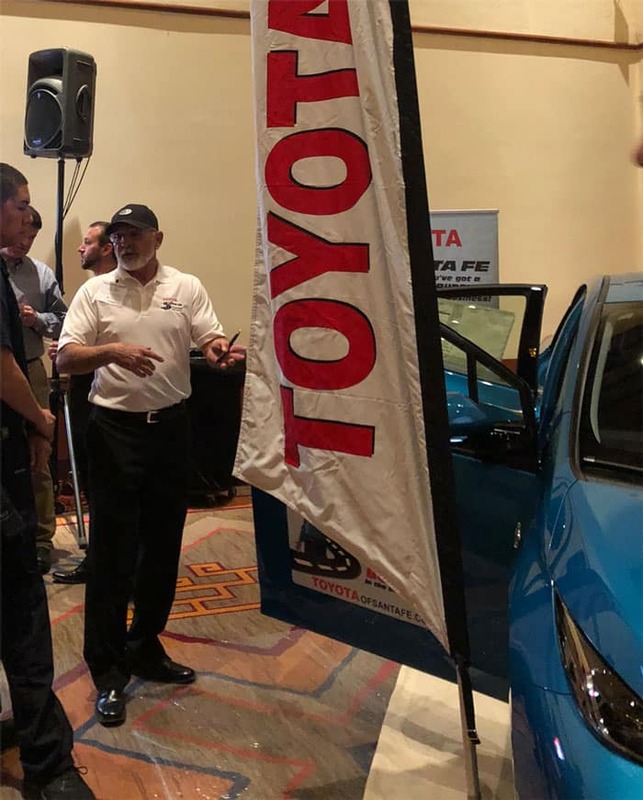 Toyota of Santa Fe plans to find out by filling it with non-perishable food and cases of bottled water donated to New Mexico’s Food Depot. WHEN: Wednesday July 19th thru Sunday July 23rd. See the new Tundras on display. Register to win valuable prizes. Free Refreshments! Meet your favorite on-air personalities from Outlaw Country. 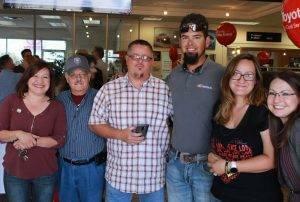 First to arrive will receive free gifts2 from Toyota of Santa Fe and Outlaw country. Anyone that donates a case of bottled water on Saturday July 22nd from 11am-1pm will receive a family 4 pack to Cliffs Amusement Park3. For those that cannot make it during that period, a Toyota of Santa Fe Representative will be available from 10am-3pm with family 4 packs of tickets to Cliffs from 10am-3pm. Santa Fe will donate $250 for each truckload of book collect with a maximum of up to $1000. 2While supplies last. One gift item per person. 3While supplies last. 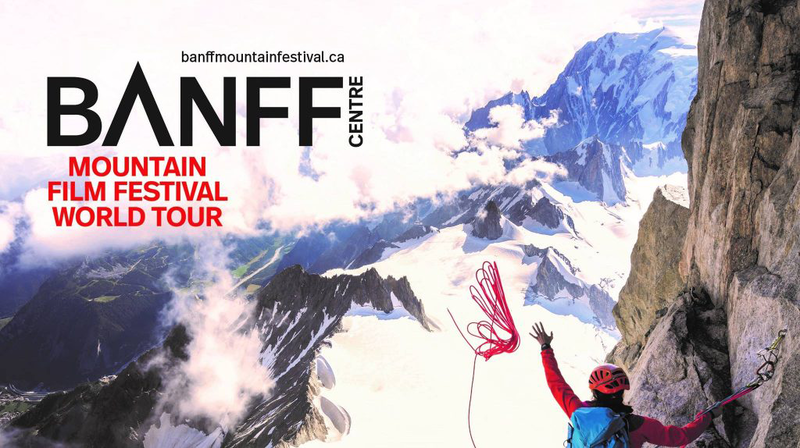 You must bring a case of bottled water to the community tent adjacent to the big white tent on Saturday, July 22nd between 10am – 3pm to receive the family four pack of Cliffs Amusement Park Tickets. One “Family Four Pack” per person. Thank you for all your donations to Espanola Valley Animal Shelter. AND Yes, we are still taking votes on facebook for our first Pets Capades. All you have to do is like the video. 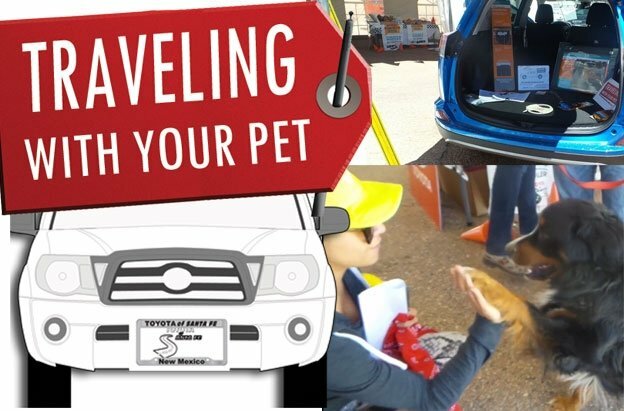 For this event, we put a Rav4 on display and shared with visitors some important traveling with pets tips. Learn more on our pets page. 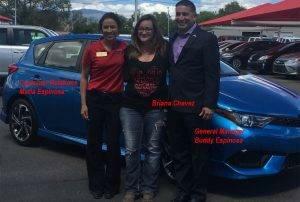 It was actually Briana's fiance that got her to come to Toyota of Santa Fe under false pretenses. But she knew something was up when she saw KOB-TV. 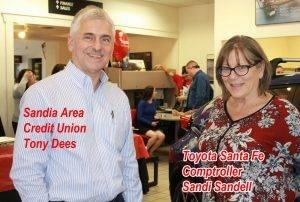 and Joe Dees of Sandia Credit Union. That included the keys to new beginning. class="aligncenter size-medium wp-image-4894" /> AND now to see her new car. and to know its all hers. this is what we call having a buddy in the business. 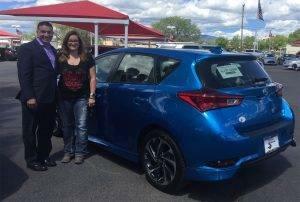 Thursday, May 18th at 1:30pm we had a very special event at Toyota of Santa Fe. In this event we showed you what being a Buddy means to us. 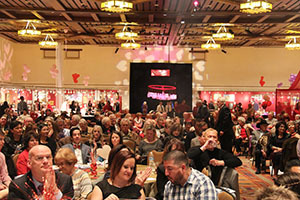 The 12th Annual SweetHeart Auction was Saturday, Feb 11, 2017. It is never too late to donate or volunteer. Proxy Bidding is allowed on the Auction Items. Michael Turney, Sean McClarey, Chuck Sauliner, Connie Jurado. BOB: I’m Bob Ansheles. I’m the development director for the Cancer Foundation for New Mexico here in Santa Fe. 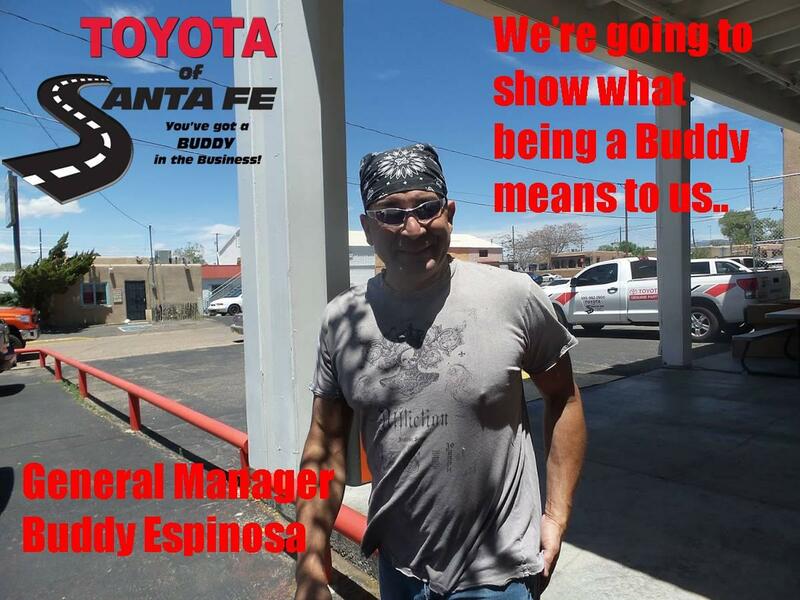 BUDDY: I’m Buddy Espinosa, the general manager of Toyota of Santa Fe. And we support the cancer foundation in New Mexico. BOB: We appreciate the support of Toyota of Santa Fe, this year and many years in the past. 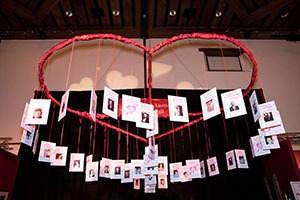 It makes a huge difference to count on on Buddy and his organization to support the cancer foundation sweetheart auction. By going out and soliciting sponsors for our event, we are able to cover all our expenses for the event. So all the money raised during the event goes to the Cancer Foundation. BUDDY: The reason that Toyota of Santa Fe originally got involved is that we were touched here in our Toyota family. A member of our team, Mike Turney, died of leukemia. His wife Abby also worked here. It didn’t stop there. We next had another member of our family Chuck Sauliner, who was our maintenance man and a great friend of mine until the day he died. He is Also a former marine. And it affected his family. We even had another person, that was in the service, in the gulf war, Sean McClarey. He’s a technician that is still battling cancer to this day. Cancer has touched everybody, no matter where you are at. I just mentioned people in my immediate family here at work. I also have other people in my family. We just want to do what we can to help. I think it’s a worthy organization. I would ask anyone to come support Cancer Foundation of New Mexico. Bob: We can use as much support as possible. There are many different ways to help support our mission. Our mission is to help save lives by making sure that every Northern New Mexican that has a cancer diagnosis has access to treatment here in Santa Fe. Santa Fe has the only comprehensive cancer center in Northern New Mexico so it covers 10 counties. There are many patients that have to drive 60 to 400 miles round trip to come for chemotherapy or radiation treatment. We help these people with travel reimbursement, lodging if they need to stay overnight and grocery cards to make sure they get the nutrition they need during treatment. But also to make sure the family has groceries for food on the table. Buddy: Along the line of what Bob just mentioned, life is tough enough without the disruption of cancer. When cancer comes into your life, it completely puts into perspective what’s important. And of course, that’s the family. I love that’s what you do to help to support these people. Bob: Thank You. It doesn’t happen without good partners like Toyota of Santa Fe. They can help by donate by going to the website at www.cffnm.org. Or if they’d like to volunteer to work with the patients or they can work at one of our events that information is on our website as well. Buddy: How can they get tickets to the sweetheart auction? Buddy: I’ve attended the event multiple years. It’s a wonderful thing. My wife and I always have a wonderful time. There’s always very interesting donations from all over the community. It’s just wonderful to see. Bob: This year, you’ll be even more impressed. We have some terrific items. Did you see that two week safari to Zambia? Bob: We also have a celebrity dinner with Ed Begley, Jr. Buddy: Toyota of Santa Fe is one of the primary sponsors this year. And we are proud to be there with you. Bob: you are one of our major sponsors as you have been for several years. Buddy: Thanks for Everything Bob! Appreciate It! Bob: Thank you Buddy; I appreciate what you and all your employees do for us and our patients. 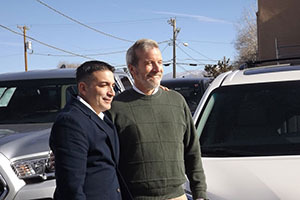 United Way of Santa Fe County is here to help your entire family get off to a Great Start Supporting United Way of Santa Fe County has become a tradition at the Toyota dealership in Santa Fe that goes back to 2002 when it was Beaver Toyota. And in 2016, we sponsored them during a very special event at Santa Fe Place Mall. Raising a child is the most important job out there. Not to mention one of the most challenging. At United Way of Santa Fe County (UWSFC) we offer programs that are based upon research and driven by family need. Our programs are created on the premise that when families with young children find hope, support and opportunities for early learning, the benefits stretch well beyond childhood. Available to all, UWSFC’s forward-thinking, two-generation programs start before your child is born and continue through age five. The prize was one night at Hotel Santa Fe Picuris Jr Suite and $100 towards dinner for two at Amaya at Hotel Santa Fe. $300 value. 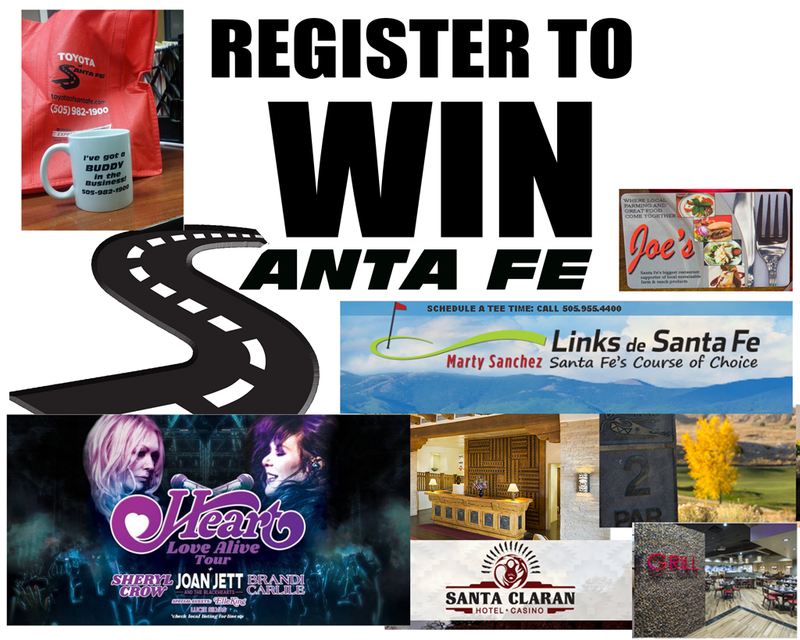 The The Hotel Santa Fe Getaway Contest began May 1, 2016 and ended August 14, 2016. 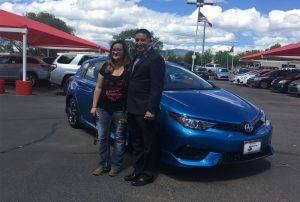 They were able to register in person at Toyota of Santa Fe, May 1, 2016 – August 14, 2016 or at the Best Of Santa Fe Event July 29th at the Railyards or at Santa Fe Place Mall May 18-22, June 8-12 or August 10-14. 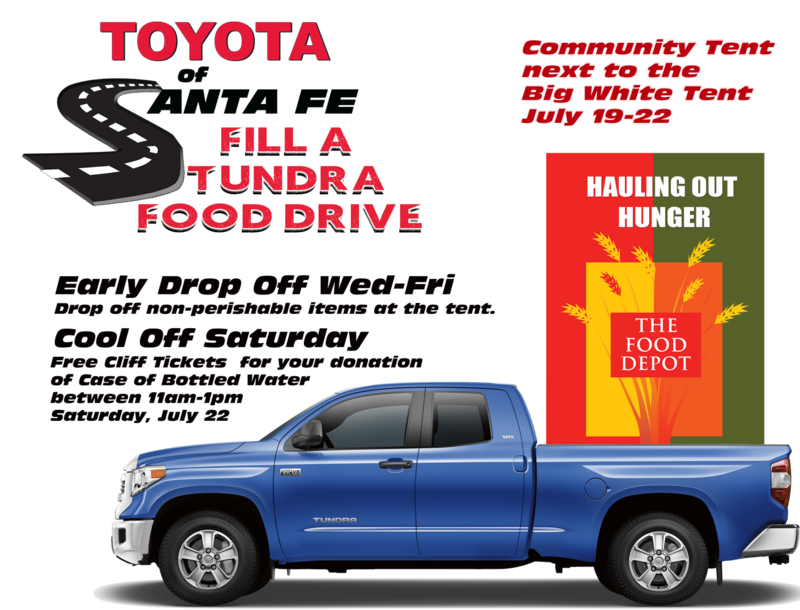 United Way of Santa Fe County is here to help your entire family get off to a Great Start Supporting United Way of Santa Fe County has become a tradition at the Toyota dealership in Santa Fe that goes back to 2002 when it was Beaver Toyota. 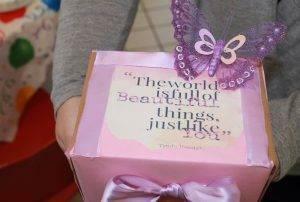 And we sponsored them during a very special event at Santa Fe Place Mall May-August.